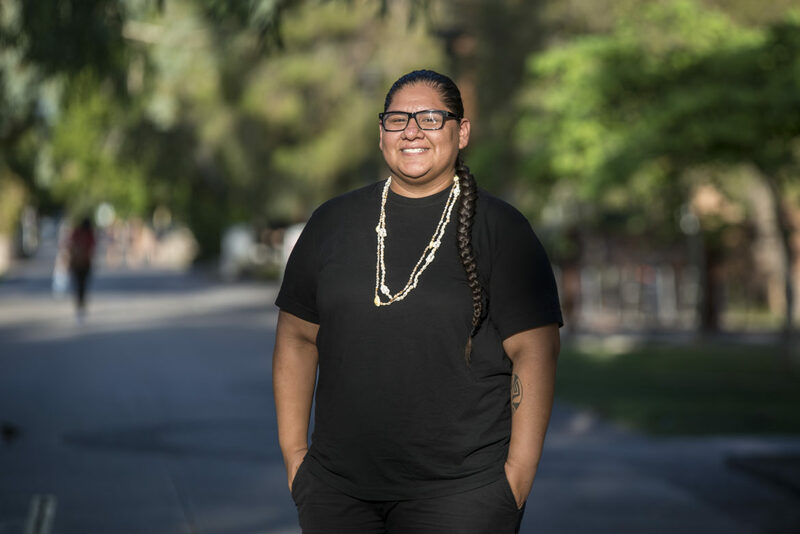 Mikah Carlos studies at Arizona State University and lives in the Salt River Pima-Maricopa Indian Community. She said a poll worker refused to let her use her tribal ID to vote in a recent election in Arizona. The new voting requirements, enacted in states mostly in the South and Midwest, were nine times more likely to have been passed by Republican legislatures than those controlled by Democrats, and almost five times more likely to have been signed by a GOP governor, the News21 analysis found. 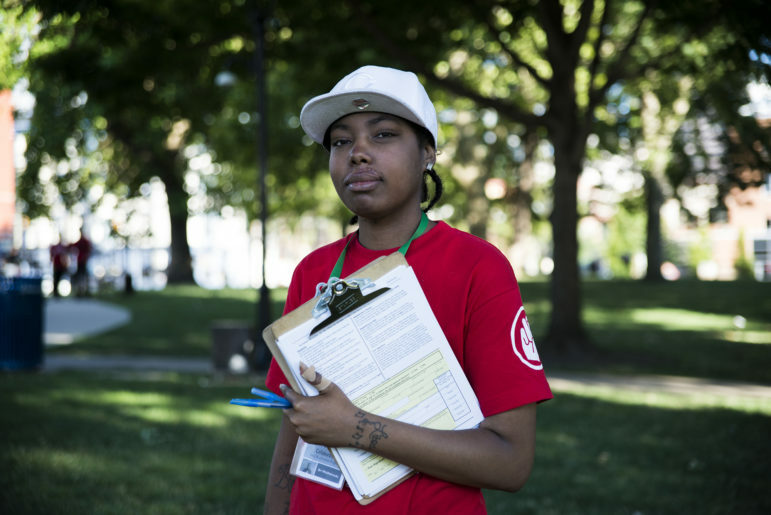 Brittany Middlebrooks, 26, is part of the grassroots Amos Project in Cincinnati. The group works to combat recent name removals from voter registration lists. Middlebrooks was diagnosed with lupus, which makes it hard for her to walk, but her passion and dedication for her work pushes her to get out and help her fellow voters in Washington Park. Wisconsin Gov. Scott Walker, an early 2016 Republican presidential candidate, told News21 that such criticisms are unfair. “It’s a discriminatory statement to say that in today’s society, people regardless of race or status aren’t able to get photo ID, particularly when the state provides it for free,” he said. Days earlier, a federal court ruled that, for the November election, Wisconsin must offer those without photo ID the option of signing an affidavit swearing to their identity, a decision that was later overturned by a federal appeals court. Republican state leaders and conservative advocates of voter ID and other new requirements have insisted that they are necessary to prevent voter fraud and protect the integrity of elections. But a 2012 News21 50-state analysis of cases since 2000 found that the rate of voter fraud is infinitesimal compared with the total number of voters nationwide and that in-person voter impersonation on election day – the type of fraud voter that photo ID is designed to prevent – is virtually nonexistent. A 2016 update, in which News21 revisited five sample states that enacted new voting requirements to reduce fraud, again found few convictions for voter fraud and none for voter impersonation. The ongoing political and legal wars over voting rights date to the mid-2000s, when the first new state voting requirements were enacted. Their number greatly increased after the 2010 off-year election, in which Republicans more than doubled the number of states they controlled – from nine to 20 – with majorities in state legislatures and the governor’s party, according to a News21 analysis of data from the National Conference of State Legislatures. Democrats, by comparison, lost control of five states, going from 16 to 11. Party control remained divided in the other states. Richard Hasen, an expert in voting law trends and a professor of political science and law at the University of California, Irvine, told News21 he believes the nation is now at a turning point because of the recent court decisions overturning new voting requirements in some states. However, a June 2016 report by a collection of civil rights advocacy groups, including the ACLU and the NAACP, cited problems with minority and low-income voter access in the presidential primaries of several states that had implemented new voting requirements. These “warning signs,” the groups said, indicated that the new laws could still affect the outcome of November’s presidential election. 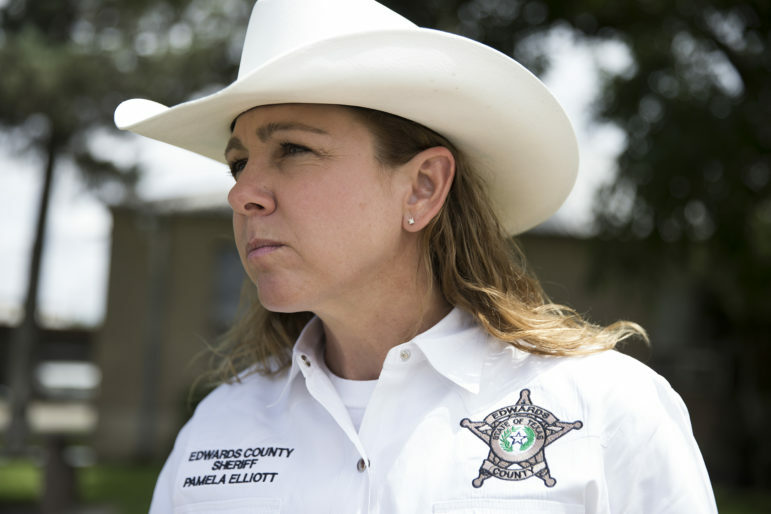 Edwards County Sheriff Pamela Elliott talks about elections and voter intimidation outside of her office in Rocksprings, Texas. A handful of Rocksprings residents claim the sheriff was intimidating voters by placing deputies at polling locations, but Elliott said she had permission from the election judge. “We think it’s perfectly reasonable when you need to show a photo to pick up your kids from school, sometimes to pick up your pet from the kennel, that it’s OK to show a photo to prove that you are the person who is voting,” Republican Texas Lt. Gov. Dan Patrick, a co-author of the voter ID law, told News21. Although more than 1,400 election-related laws have been passed across the country since 2012, along with countless non-legislative procedure changes such as executive orders, News21 arrived at 37 new requirements based on predetermined categories found to most affect voting access and which are often repeated in multiple states. Not all 37 of these changes are still in effect, as courts have sometimes ruled a state could not continue to enforce certain rules based on their effect on voting access, or at least forced a state to weaken the original provision.